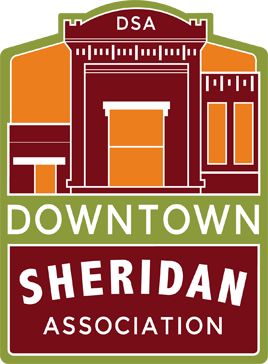 The Downtown Historic District Promotions Committee continues to focus on year-round shop local campaigns that help to increase awareness of what our downtown has to offer; as well as, create incentives and enthusiasm for local shoppers during the off-holiday season. 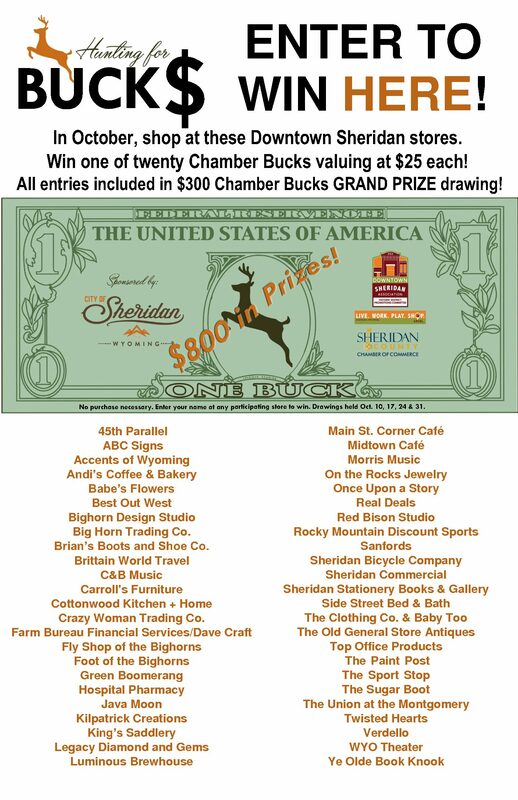 The October Hunting for Bucks shop local campaign incorporates the ever popular hunting season with 5 weekly drawings of $25 Chamber bucks and a grand prize drawing of $300 in Chamber bucks on October 31. Signups begin this Monday, Oct. 1. Thanks to Mayor Roger Miller for generously sponsoring the campaign again this year. 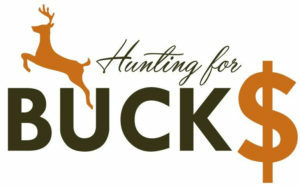 Hunt for buck$ in Downtown Sheridan at any participating retailer with a “buck” in their window or call the DSA office, 307-672-8881 for more information!